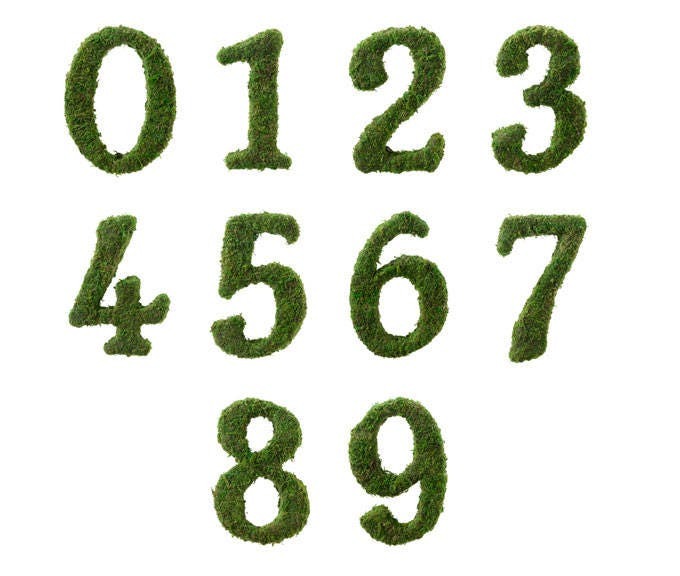 Moss numbers for wedding reception tables or event and party tables. 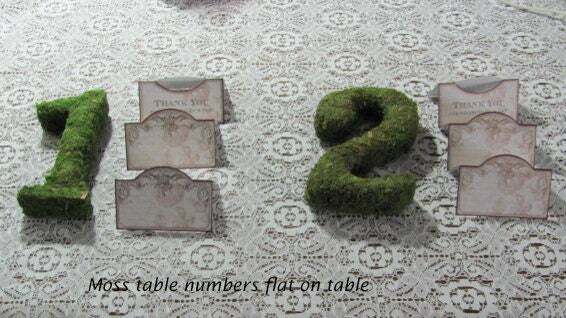 dainty moss table numbers are sure to complete your tablescape, adding a pop of color and a little bit of nature. Stands 6" tall, 2.75" wide. 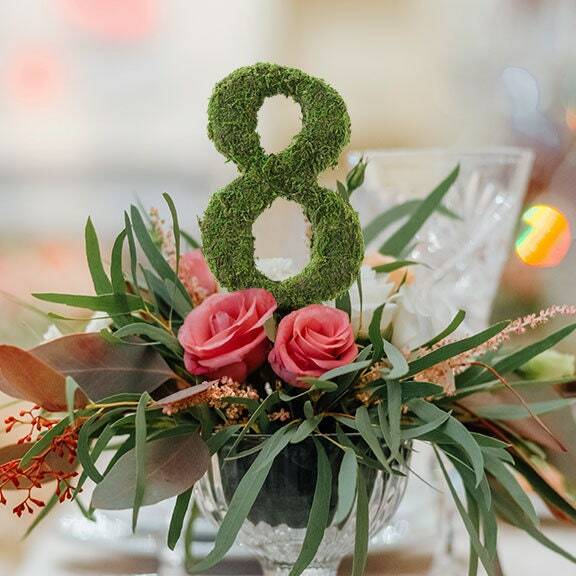 **Please note that other items that may be shown are for display and ideas only and are not included with the moss 0-9 table numbers you select. 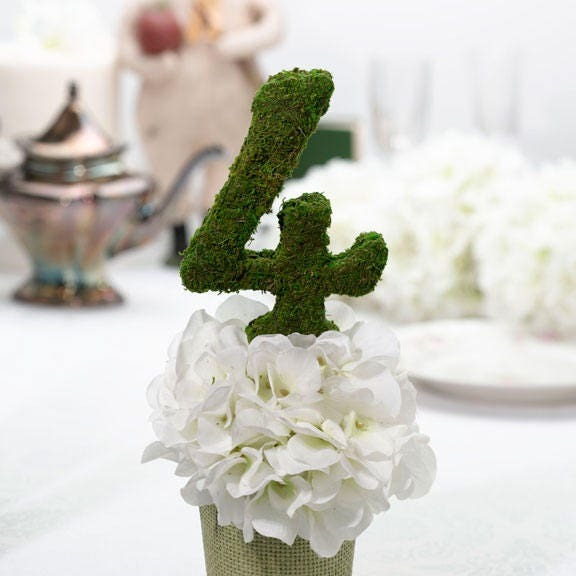 these can be placed in your own floral arrangements, etc. flowers and other items shown not included. 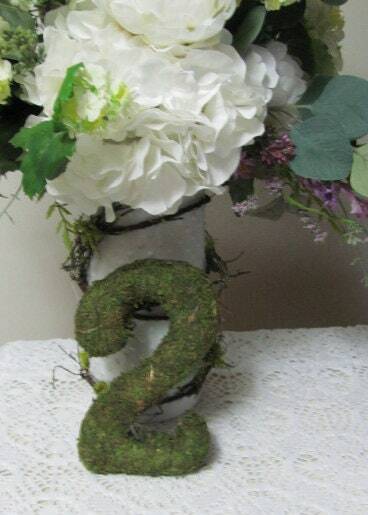 These looked perfect for our wedding centerpieces! We ended up hot gluing marble tiles on the bottoms so that they stood up on the tables! 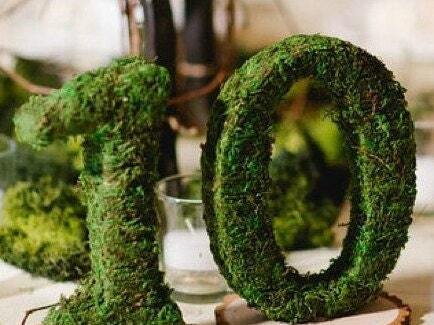 Perfect for a forest themed wedding! Perfect size. Can't wait to see in the arrangements.